Nikki is back this week for another guest blog! 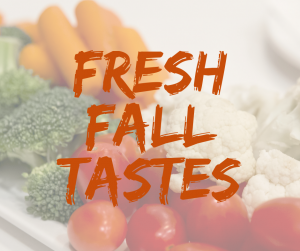 She is sharing her fall-friendly recipe for vegetable soup. 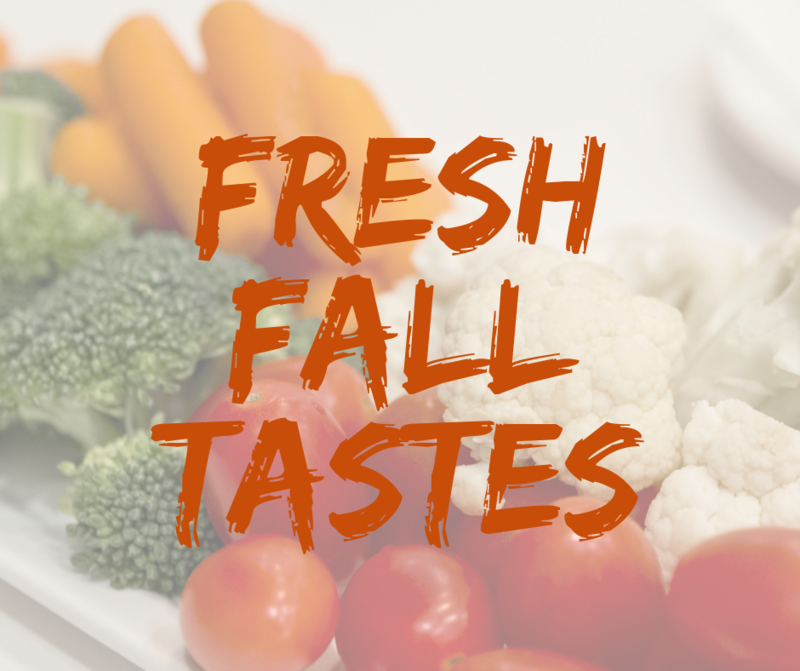 It’s a great way to stay cozy during the chilly fall nights, and a great use for produce that you just don’t know how to use! Check it out. The leaves are changing color, and it’s starting to get chilly. I always like to warm myself up with a good ol’ bowl of home-made soup! During the week it’s easy to get caught up with life, and not be able to use all the produce you’ve bought. Or, if you’re like me, it just goes bad way too quickly before you can use it! 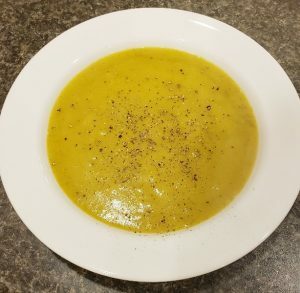 I found a delicious solution to all that food waste and the answer is: SOUP! I start by taking all my veggies out of the fridge that need “recycled”. After I wash them, I give them a good chop and throw them in a big pot of boiling water. 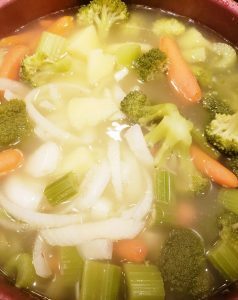 Then, I add about 3-4 garden veggie cubes and boil it down for about 20 minutes or until the veggies are tender. 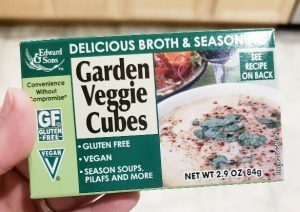 I love this brand of vegetable bullion cubes because not only are they delicious, but they are gluten free and vegan! You can find them at your local Kroger brand store. Once the veggies are tender, I scoop them out and put it in my blender. I make sure I get enough of the water as well so that the blending is an ease. I pour it back into the pot of water and repeat until I get the creamy consistently that I want. You can even leave some chunks in there if you prefer! Salt and season to taste, and that’s it! No more food waste, and you have a delicious creamy soup! ENJOY!